All meals onboard the Astor, FREE afternoon tea and late night snacks, Captain’s Cocktail Party (selected sailings), self service tea and coffee, FREE Big show entertainment, cabarets and classical interludes, a range of FREE daytime activities and leisure facilities, FREE guest lecture programmes, FREE porterage of luggage to your cabin, Cabin Steward service, use of the Waldorf, Ubersee, Admiral’s Salon and Commodore’s Salon restaurants. As you arrive into Adelaide you can feel the history and culture of 'The City of Churches'. You will be personally met at the airport by a DISCOVER AUSTRALIA representative and transferred from the airport to your hotel. You can relax and use the rest of the day to explore your hotel and its facilities, perhaps take a stroll around the neighbourhood and central Adelaide. 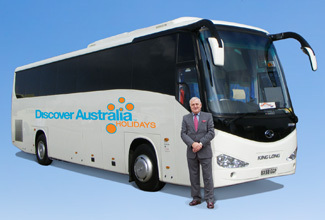 Breakfast, Luxury Coach Tour with Hotel Pick Ups, Torrens River Cruise, Tea, Haigh's Chocolates, Overnight Accommodation. Leaving Adelaide, enjoy a scenic tour alongside the Torrens River through the spectacular Torrens Gorge, see Kangaroo Creek Reservoir, Millbrook Reservoir, Williamstown (beautiful stone buildings) and learn the secrets of Barossa Reservoir's 'Whispering Wall'. Stop at Lyndoch Bakery for complimentary coffee or tea and a German sampler plate of sweet treats. Discover the art of great winemaking on your 'Behind the Scenes' guided tour of Jacob’s Creek Wines, housed in a charming historic chateau. Enjoy a tutored wine tasting incorporating introductory wine education, view the original winery built in 1897 with traditional winemaking equipment. Stop at Barossa Chateau for a delicious Special Lunch, your two course winery restaurant lunch with the opportunity to taste wines from this highly regarded vineyard. Experience the panoramic views over the Barossa Valley from Mengler's Hill lookout, continue through the old mill town of Woodside and the Adelaide Hills. Stop at Hahndorf (Australia's oldest German settlement), stroll under the Elm trees along Hahndorf's main street, see quaint cottages, craft shops and tea rooms. See the delightful villages of Crafers, Stirling, Aldgate (all set amongst the lush greenness of the Adelaide Hills) and Bridgewater (with Bridgewater Mill and Waterwheel). Head back to Adelaide with a deep appreciation of the Australian wine industry and the beauty of the Adelaide Hills. Breakfast, Luxury Day Tour with Hotel Pick-Up, Morning Tea, Bakery Sampler Plate, Winemaking Tour, Wine Education, Special Two Course Lunch, Wine Tastings, Overnight Accommodation. Cruise along the mighty Murray River in a fully restored 100 year old paddle-steamer and enjoy a Special Buffet Lunch onboard. Your magnificent 160 ton riverboat is living history. She is one of the world's only steam driven, wood fired, side paddle, heritage paddle-steamers still in operation. Learn the rich history of one of the world's greatest river systems and the key town of Mannum. This historic Lower Murray town is the birthplace of Australia's paddle-steamer, hear the stories from the river-folk and learn how the river breathes life into this rugged region. Travel by luxury coach through rolling hills and rural land now rich in green vineyards and golden citrus orchards thanks to the Murray, the arid pasture region of the Murraylands. Arrive at Mannum (birthplace of the River Murray paddle-steamers), cruise the broad waters of the Murray onboard your historic paddle-steamer riverboat, enjoy a delightful morning tea on board, whilst marveling at the stark cliffs, river red gums and willows that burden the waters of the Mighty Murray. Spot for galahs, cockatoos and pelicans. Time for your Special Lunch, a delicious buffet lunch served onboard your paddle-steamer as you cruise the majestic Murray. Take in the view over Mannum and the Murray from a scenic lookout, enjoy free time exploring Mannum, perhaps take a ride on the punt (time permitting). Follow the Torrens Valley scenic drive through Palmer, Tungkillo and Birdwood to Gumeracha; Continue down the Chain of Ponds to Tea Tree Gully. Return to Adelaide through the undulating green Adelaide Hills after full day of new memories. Breakfast, Luxury Coach Tour with Hotel Pick-Up, Morning Tea, Riverboat Cruise, Special Buffet Lunch, Overnight Accommodation. Breakfast, Luxury Coach Tour with Hotel Pick Ups, Overnight Accommodation. Today you will be personally met at your hotel by a DISCOVER AUSTRALIA representative and transferred from your central Adelaide hotel to Port Adelaide Passenger Cruise Terminal, board the Astor and begin your cruise to Kangaroo Island. Breakfast, Meet and Greet Personalised Port Transfer, Dinner, Late Night Snacks, Overnight Accommodation on board the Astor. Today you stop at Kangaroo Island for the day. Take part in a range of optional shore excursions before reboarding the Astor to continue your cruise, or, spend the day on the ship making us of the on board facilities, the choice is yours. Breakfast, Lunch, Afternoon Tea, Dinner, Late Night Snacks, Overnight Accommodation on board the Astor. Spend today at the seaside town on Port Lincoln on the Eyre Peninsula in South Australia. Choose from a range of shore excursions or spend time a board the beautiful Astor, the decision is yours. Breakfast, Optional Shore Excursions, Lunch, Dinner, Late Night Snacks, Overnight Accommodation on board the Astor. Today marks the end of your South Australia holiday. This morning you will be personally met at the Port Adelaide Passenger Cruise Terminal by a DISCOVER AUSTRALIA representative and transferred to the airport to meet your flight home. Relax in your private cabin on board the Astor while you sail the Indian Ocean and enjoy FREE full board cuisine with a selection of international cuisine, afternoon teas and late night snacks and self-service tea and coffee. Experience FREE on board big show entertainment, cabarets, and classical interludes. Choose from a range of FREE daytime activities, leisure facilities and on board guest lecture programmes (selected sailings). Enjoy on board leisure facilities such as an Indoor and Outdoor pool, a sauna, steam room, a fully equipped hair salon and a Duty Free arcade with boutiques, jewellers and perfumeries. Enjoy meals from a variety of styles of restaurants. Enjoy a la carte meals at the Waldorf restaurant, buffet meals at the Ubersee restaurant and enjoy speciality meals at the admiral’s Salon and Commodore’s Salon. Your package includes an inner cabin but can be upgraded to a range of cabins. Enjoy a range of optional shore excursions on your cruise aboard the Astor that are designed to illustrate the highlights of each port of call and maximise your time ashore. All shore excursions are competitively priced and operated by qualified and reputable ground handlers. Enjoy the peace of mind knowing that you will return to the ship before it sails. Shore excursion programmes are released approximately 8 weeks prior to sailing and excursions can be pre-booked to ensure you do not miss out on your preferred excursion. You will be personally met by a DISCOVER AUSTRALIA representative and transferred from the airport to your hotel, from your hotel to the cruise terminal and from the cruise terminal to the airport for your flight home. The Astor is a stylish boutique sized cruise-liner with a friendly onboard atmosphere. Catering for just 620 privileged guests ensures a close bond and camaraderie with fellow passengers and a more personal touch from the attentive and helpful crew. 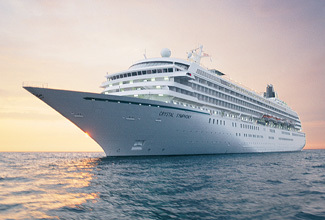 The feature packed ship has seven passenger decks, is fully stabilised and air-conditioned. You can indulge in the wonderful array of activities, entertainment and premium facilities designed for a more traditional and stylish cruising experience. The Astor boasts comfortable cabins and impressive contemporary public areas. There are five lounge spaces to gather with friends and family, to relax by yourself, or to meet and get to know your fellow guests. For more leisurely options, stroll around the Promenade Deck, visit the sports deck (join in a game of volleyball, half-court tennis, table tennis or big board chess), make use of the jogging track, partake in a relaxing yoga session or meet like-minded passengers for some games of bridge, backgammon, chess etc. Those keen on activity can choose a work-out in the gym, a make-over in the beauty salon, a swim in the outdoor or indoor pool or something a little less energetic in the form of a game or a quiet reading session in the library. Daily organised activities can range from arts and crafts to guest speakers. Check the daily activity list on board for all the options. Many passengers kick off the evening with a pre-dinner drink at one of the ship’s several bars before making their way to dinner. Following dinner, Astor’s late night cabarets and live band allow you to continue well into the night, as does the late night deck party. If you prefer something a bit quieter, relax at the bar and enjoy the music from the resident pianist, perhaps enjoy a quiet game of cards, or take a romantic stroll on the deck with a loved one. You have a choice of four dining options, from buffets, five course sittings and specialist restaurants, each with a variety of appetising food available for most of the day and night. Astor’s chefs excel in creating new and delicious dishes which will have you looking forward to your next meal. Main course options range from appetising seafood, Italian pastas, modern stir-fries and traditional roasts to tasty vegetarian and health-focussed options. A selection of fine Australian and European wines are available to complement your meal plus Australian draught beers are available at the ship’s bars. You will savour every day on board the Astor. 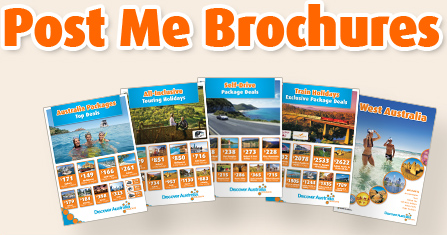 The Adelaide All-Inclusive with Astor Kangaroo Island Cruise is very popular. Many dates book out well in advance, please book soon.